You can buy a Japan Rail Pass before arriving in Japan, but how do you make reservations on Japan Rail (JR) trains before arriving? You Probably Don’t Need Reservations! First, here’s the one thing you should know: Unless you plan to travel during Japan’s three short peak-travel seasons, you don’t usually need train reservations to guarantee seats. In fact, having reservations can actually be a bad idea, because a reservation ties you to a specific departure time. Which Trains Can You Reserve? When Do You Need Reservations? Okay, so when are the three periods during which you should consider making train reservations? Outside these times, you don’t need reservations. If you are nervous about getting a seat, show up at the station and wait at the boarding position for an unreserved car about 30 minutes before the train is due to depart. And, even during the above three peak travel periods, you can usually get seats without reservations (plenty of Japanese do this). Choosing an early morning or late evening departure is your best chance of getting a seat (keep in mind that you can always stand in the unreserved cars – so you will get where you need to go, it just might not be that comfortable). How Far in Advance Can You Reserve? You can reserve JR tickets one month prior to your departure at JR ticket offices (in JR train stations) and at travel agents inside Japan and at some travel agents outside Japan (see following). How Do You Make JR Train Reservations From Abroad? Here’s the major rub: Only JR East has an online booking service that you can use from abroad. (Visit their English language site). 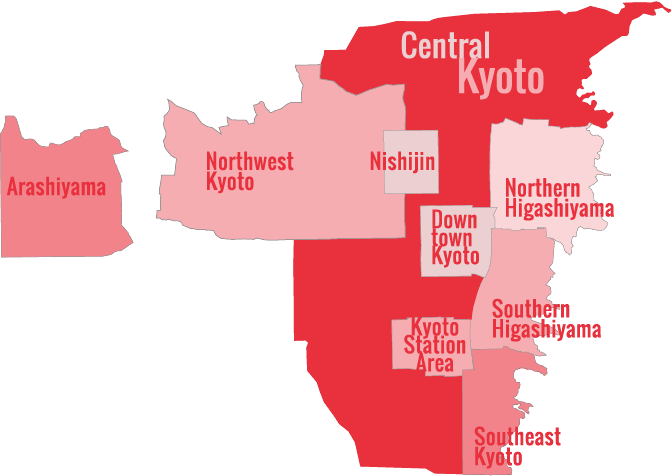 This only covers shinkansen and tokkyu lines in northern and central Japan (Tohoku and parts of Chubu) The site is here. Otherwise, there is no online booking system. So, even if you have a JR Rail Pass, you can’t make reservations trains in Kansai, Western Honshu, Kyushu, Central Japan and Hokkaido. This means, for example, that you cannot make reservations for trains on the Tokaido Shinkansen (running between Tokyo and Kyoto/Osaka). So what do you do if you really want to make reservations? Go Through a Travel Agent: Some travel agents that specialize in Japan travel will sell you reserved seats on JR shinkansen and tokkyu in advance of your trip. They’ll essentially buy the tickets in Japan and have them sent by courier to their overseas offices and hand them over to you (or, have them sent to your hotel). They usually charge around US$75 for this service (and this does NOT include the price of the ticket). Japanese travel agents with overseas offices like JTB are the best place to ask, but also ask at other Japan travel specialists. Impose on a Friend: You can ask a friend in Japan to make reservations for you (keep in mind that they can only buy tickets one month in advance of your intended departure and it may be very difficult for them to buy tickets during the three peak periods, for which there is a form of lottery simply to stand on line to buy the tickets). Fly: If you must travel during a peak period, why not fly? Needless to say, you can reserve flights in English online for flights on JAL and ANA and these airlines may well cover the route you need to travel. 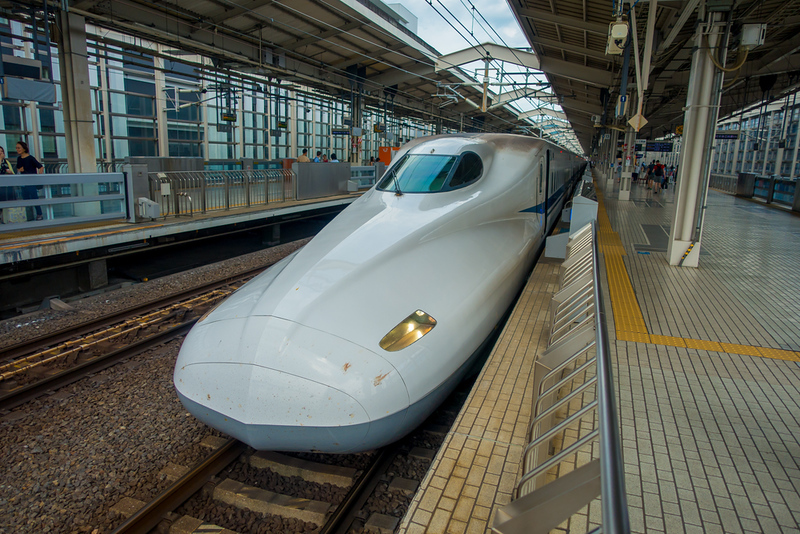 The trip will be faster and it may even cost less than the equivalent shinkansen journey. Just be sure to book well in advance. And when you buy your international ticket, ask if you can add the domestic leg (it might even be free to do so). Don’t travel during peak periods! Reserve on Arrival: You can do is walk into the JR office at your arrival airport (Narita or Kansai, for example) and make all your reservations for your whole trip. You can do this at the same time as you convert your Japan Rail Pass exchange order into your actual pass. Of course, you can also reserve at any point during your stay in Japan for travel up to one month later. BUT HERE’S THE MAIN POINT: I DON’T MAKE RESERVATIONS! In Japan, there are so many departures on the main routes that you can usually just show up and either grab an unreserved seat. Sure, this might make you nervous if you’re a control freak, but here’s something you should know: I’m also a control freak. I like to arrive at an airport with three or four hours before my departure! And, in over 15 years of living in Japan, I’ve made train reservations less than five times. And I travel on trains all the time as part of my job as a Lonely Planet writer. In fact, I consider reservations to be a completely unnecessary task: I just show up at the station when I need to go somewhere and grab an unreserved seat on the next train going to my destination. True, I usually avoid train travel during peak periods, but I’ve travelled during peak periods without reservations plenty of times. So, long story short: considering the expense and hassle of making JR reservations from abroad, it’s probably better not to.